Crabgrass is a type of weed that sprawls out from a central root and spreads quickly during hot and dry periods. The weed dies in the falls, but a single plant spreads thousands of seeds that will germinate in the spring. If this eyesore appears in your lawn, take action to remove it as quickly as possible. Chemicals are available to combat the weed, but you can avoid the use of chemicals by using baking soda to kill crabgrass. 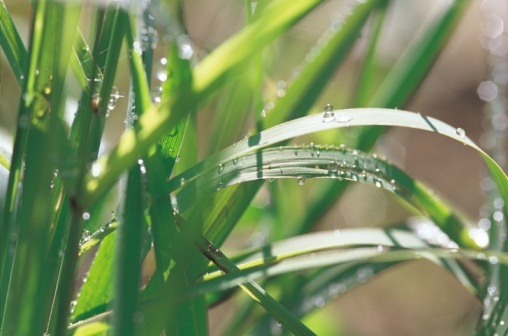 Water the area containing crabgrass with a garden hose or sprinkler. Sprinkle a small amount of baking soda on crabgrass. Lightly dust the plant and the surrounding area. The crabgrass will start to wither and die. Remove dead crabgrass with a garden shovel. Fill bare spots where crabgrass was removed by planting plugs or spreading seed. New weeds will appear in bare areas if you do not reseed it. How Long Does it Take for Fescue Seed to Germinate? Do I Have Tall Fescue or Crabgrass?